Sour Beer Day comes to Northwest Portland on Saturday, September 8th at both locations of The Abbey Bar & Bottle Shop. This day will be dedicated to all things sour beer. It’s a great way to sample various sour beers from around the globe. The NW 21st Ave. location will feature Belgian style beers while the NW 23rd Ave. location will feature more worldwide styles. 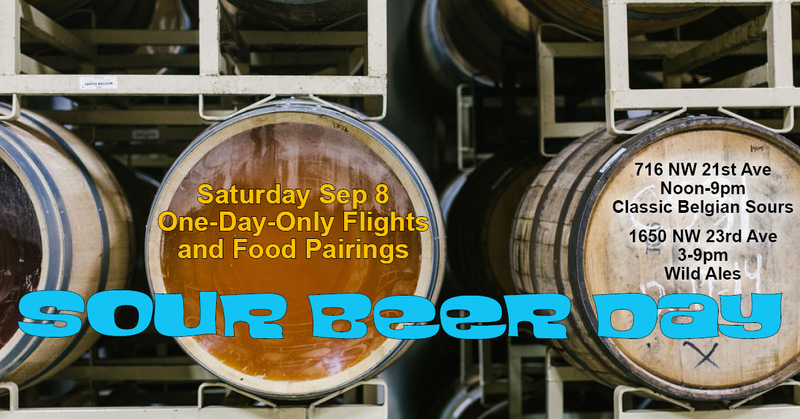 Beers will be poured in sampler sizes plus there will be beer and food pairings and swag. The Abbey Bar – 716 NW 21st Ave. The Abbey Bar – 1650 NW 23rd Ave.